For months, the rumour mill around The Hill had spawned the story that the senator replacing Peter Stollery, the Toronto haberdasher who had held one of the Ontario slots for a couple of decades, would be someone whose political activism would be, at least in part, faith-based. 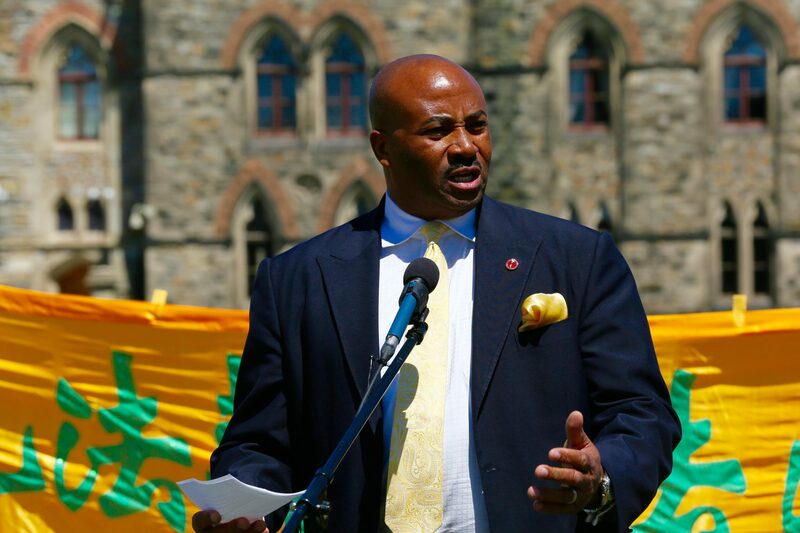 In retrospect, given the rumours, the choice of Don Meredith — a black Pentecostal pastor who has built a strong multi-faith network against community violence — was not surprising. Meredith is Jamaica born, 46, and married to a woman whose first name is the same as that of Barack Obama’s wife; they have two almost grown children, one of whom is now a York university student. He was named one of Canada’s new senators just before Christmas. We talked for a few minutes by phone a few days later. His gradual move from pastoral work — and a thriving landscaping business which still supports his family — began when two sons of one of his church leader friends died violently a few years ago. Frustrated at the growth of violent crime in several Toronto neighbourhoods, he met with Julian Fantino — who was then Toronto police chief. The chief challenged him to consider where the church has been, especially keeping in mind the biblical passage that suggests Christians “let their light so shine” in communities where there is darkness. His challenge, he determined, would be to help churches in the GTA (Greater Toronto Area) recognize their autonomy to act and work with violence among young people and in families. In due course, that vision extended beyond churches to other kinds of faith gatherings, such as Jewish, Muslim and Sikh, to name a few. Today, GTA Faith Alliance is the vehicle through which many of his activist interests, and those of dozens of other faith leaders, are channelled. Through the years, he has structured things so that the churches he has pastored have been community centres, as well, engaging in helping young people and families to get a leg up socially and vocationally. His early post-secondary education was at Ryerson University, where he took general business and information technology courses. Three years into that, he left school in order to start Donscape Landscaping, his family business. “It pays the bills,” he points out. His theological education came later, some of it through California State Christian University, an online institution whose practical value he defends against those who might be more inclined toward an Ivy League education. On the way to where he is today, Meredith has worked with many Christian-based ministries, among them the Toronto East Prayer Breakfast (TEPB), an annual event bringing hundreds of Christian leaders together. “Two of the areas where violence was a real concern were Malvern and Jane-Finch,” Charleson recalls. “In recent years, there has been a settling down [of sorts] in both areas,” he adds, crediting Meredith and other faith leaders working with him as major factors. It may not be completely co-incidental that Meredith is entering the Red Chamber at the same time as his past conferee, Fantino, is taking his seat in the House of Commons. Meredith is not completely without political experience, having run for the Conservatives in Toronto Centre against Liberal MP and former NDP premier Bob Rae. And, undoubtedly, he may be a prime example of the kinds of people the Tories are seeking out for the GTA: urban conservatives who can be tough-minded enough to keep spending in line, taxes down and citizenry protected, but compassionate enough to understand the need for social justice. In many ways, Meredith could be for the Conservatives what David Smith has been for the Liberals. Senator Smith, the brother and son of three Pentecostal ministers, has prodded the Liberal establishment through the years with the need to appreciate a faith-based approach to moral, social and fiscal values. Obviously, at 46, the newest Ontario senator may one day face the prospect of having to run for election to hold on to his seat. It is understood that all Harper appointees will need to consider that prospect if the various democratic reforms being processed through Parliament actually become reality. Until then, he is happy to believe that God might have had a bit to do with his Senate appointment, and that he has a responsibility to stay with the task as long as both providence and the people permit him to do so.